Education and outreach have been an important part of my journey. Creating after school programs, making DNA necklaces with visitors at the Smithsonian Institution's National Museum of Natural History, and teaching at the University of Arkansas have been highlights of my time spent with people eager to learn. Engaging others in thinking about the common history of modern humans is one of my greatest passions. My time in museum settings has given me access to large general audiences, which I plan to take advantage of as I continue my graduate studies. My career outreach goals are to increase science literacy, encourage participation in the fields of natural science, and to help all people become excited about learning. 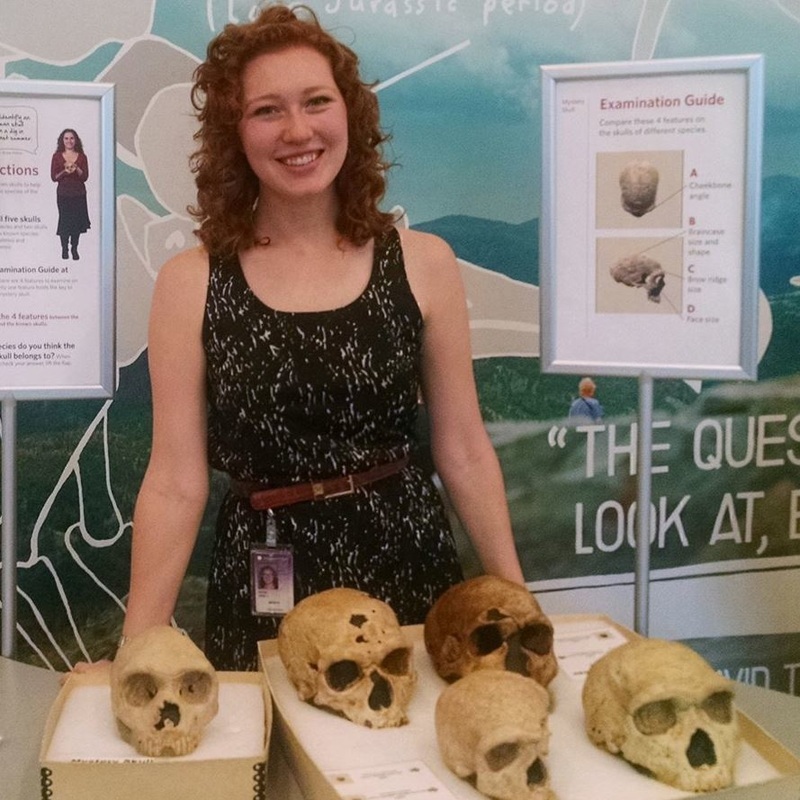 From leading activities during events like National Fossil Day (pictured above), to DNA experiments, to being a "Scientist Is In" guest, I love spending time with people excited to explore new things! In the Spring of 2018, I co-created an after-school course for high school students focusing on the evolution of hominin bipedalism. We created our own footprints in sand and manipulated digital renderings to learn how scientists study fossil trackways. ﻿By providing resources to teachers, scientists can ensure an impact on the researchers of tomorrow. I have provided artwork and artistic research skills to multiple projects disseminating biological anthropology concepts. 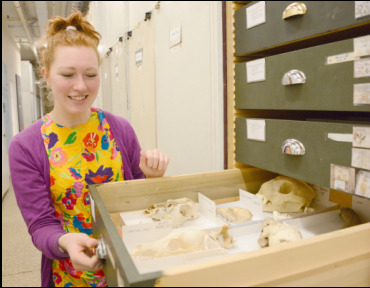 Aside from instructing several biological anthropology lab components, I have also assisted in the preparation and management of a faunal skeletal collection for use in the college classroom.